Safestyle windows is one of the largest double glazing installers in the UK but with a mixed reputation online, you may be wondering if they are worth your investment. Safestyle is not the cheapest installer, but their price match guarantee means they might as well be. Safestyle specialises in uPVC doors and windows with double glazing, but also offers a range of other materials including premium timber. Safestyle is the largest double glazing installer in the UK according to FENSA data for 2013, 2014, 2015, and 2016. The majority of Safestyle doors and windows are manufactured in Barnsley, South Yorkshire through their subsidiary, Windowstyle. Safestyle has the highest consumer rating of any top double glazing company in the UK. Safestyle was founded in 1992, making it one of the youngest of the top five double glazing installers. The company primarily installed manufactured windows until 1996, when Safestyle opened Windowstyle in Barnsley, South Yorkshire to manufacture uPVC frames and double glazing. Safestyle has since gone on to become one of the largest installers in the UK, with average double glazing sales exceeding £100 million. Today, Safestyle offers a range of doors, windows, and conservatories in wood and uPVC. Safestyle is one of the largest double glazing installers in the UK, and leads the way with sales for double glazing windows. However, the company does have a mixed reputation online, including several features on BBC Watchdog and other websites. Overall, Safestyle offers very high quality double glazing, with some of the best product reviews on the market. Their windows and frames are manufactured in the UK, and the company invests heavily in new technology for strengthening glass, improving seals, and for improving energy efficiency. Safestyle products can vary a great deal in cost and depending on the product, the salesperson, the scope of the installation, and the quality of the product. While Safestyle’s uPVC line is very affordable, the company also offers very high-end custom timber frames, which can cost as much as 5 times more than a standard window. There are several factors that affect the costs of doors and windows purchased from Safestyle. Glass – Safestyle sells multiple types of glass and low E or leaded glass will cost more. In most cases, you should determine the type of glass that best suits your home and budget before contacting a surveyor. Frames – Different materials cost more or less. Safestyle specialises in uPVC frames, which are extremely affordable. However, the company also offers other types of frames including Heritage Timber, which are premium windows with traditional wood styles. Style – A basic casement window will cost significantly less than other types of windows. Safestyle offers frames in casement, sash, bay, and other styles. Project Scope – A single story house will be much cheaper to fit than a two-story. The more work required to fit the windows, the more they will cost. In most cases, you should estimate at least 30% or more of total costs for installation. Sales Person – Safestyle contracts their sales team, who typically work on commission and for target based performance. This means that the sales team is incentivized to charge you as much as possible for every project. If you want a good deal, you should go in prepared and you should know how much your project is worth. While it is almost impossible to give a good idea of what installation costs for your windows will be without a survey, you can check average installation costs to get a ballpark range for the minimum cost of your installation. It is important to note that no online quote will be 100% accurate because a survey can change the cost by as much as 30% or more. Because costs are affected by the difficulty and scope of the installation, a survey may greatly change your quote. Lowest Price Guarantee – Safestyle offers a “Lowest Price Guarantee” which allows you to price match with other suppliers. However, the product must be equivalent to one that Safestyle supplies, be of the same quality, size, and design. Safestyle will also match deals and promotions, which allows you to get a lower price on products that Safestyle carries as well. To claim the lowest price guarantee, simply show your quote to your sales representative, or mail a copy directly to Safestyle at Safestyle UK, Style House, Eldon Place, Bradford, West Yorkshire, BD1 3AZ. Importantly, Safestyle only offers a lowest price guarantee if they receive the lower price claim before, during the sale, or within 7 days of you singing contract. You must also show proof that the lower quote is for a comparable product. Safestyle offers a double glazing financing scheme designed to help make their installations more affordable. The scheme is funded through Barclays Partner Finance and includes several options. 12 Months Buy Now Pay Later with 19.9% APR Representative (No payments for the first 12 months, after which you will be charged over a period of 120 months. Safestyle’s financial scheme is authorised and regulated by the Financial Conduct Authority. It also has pros and cons, which you should consider. The biggest con is that with 7.9=19% APR, the interest rate is high. However, with no deposit, no security, and flexible terms, it may be worth it, especially if you can pay the loan off more quickly to reduce total interest. Recommend a Friend – Safestyle maintains a “recommend a friend” referral program, where each participating member receives £50 towards windows per referral. Safestyle offers a standard 10-year product warranty on all their double glazing units. This guarantee is transferable with your home, and includes frames and double glazing. However, it does not include handles. While the 10-year guarantee extends to all Safestyle’s products, it is the bare minimum warranty required by GGF and FENSA regulations. Other double glazing installers like Anglian and Everest each offer up to a 25-year guarantee on sealed units. Safestyle has a relatively small range of double glazing products in comparison with other companies like Everest, but they do offer a wide range of styles and options. Frames come in up to 23 different colours. Safestyle has a long history of providing very high quality frames and double glazing, which is in part ensured by local manufacturing and production for most parts. Safestyle also sources most of its raw materials in the UK, or through select partners in China, which means that they do have very high quality control on glass, sealing, and frames. Safestyle includes Trident high security espagnolette locking systems, internal beading to protect windows, two Duraflex Q-Lon weather seals on double glazing, and a multichamber frame to trap air and prevent heat loss. Overall, windows are very high quality, and Safestyle is one of the highest rated suppliers in the UK based on quality. Safestyle’s sales team is well known for questionable sales tactics, where they attempt to sell windows for the highest price possible and as quickly as possible. These sales tactics are common across the UK, primarily because many double glazing installers hire their sales team on commission. Know your rights. UK law states that you have 2 weeks to agree to a contract. Any ‘today only’ deals are not legitimate. Be prepared with quotes from other suppliers. All Safestyle’s installations are contracted out which means that the company does not control the quality of the sales team, surveyors, or fitters. Safestyle saves money using contract work, because they can pay most of the team based on a percentage of the project. Fitters – All Safestyle fitters are contracted as self-employed workers, allowing Safestyle to quickly and easily expand their network of fitters across the UK. This means that your Safestyle contract will likely be installed by a local fitter, and most likely one who already owns a double glazing installation business. 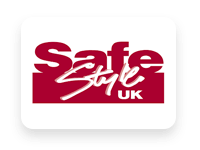 Safestyle fitter teams include 2-3 people who meet basic installer requirements and who have experience installing doors, windows, and conservatories. Surveyors – Safestyle also contracts out their surveyors, which means that you will likely be working with a local surveyor and sales team. Safestyle does require minimum FENSA certification and a history of working with doors, windows, and conservatories. Target Based Performance – All Safestyle employees work on target based performance for compensation and a percentage of the contract. This means that the surveyors and the sales team are incentivized to sell you as much as possible for the maximum price possible. This accounts for all their complaints regarding the sales department. Complaint Management – Safestyle is a member of the GGF Conciliation Scheme, The Glazing Arbitration Scheme (TGAS), and the Financial Ombudsman Service. 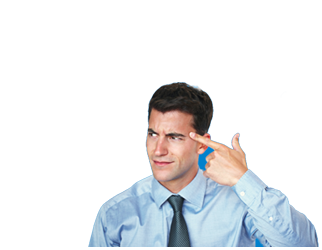 You can contact Safestyle to request a copy of their complaint management process at 01274 842842, by faxing, 01274 842168 or at customer.services@safestyle.co.uk. Safestyle is one of the largest double glazing installers in the UK because they offer high quality doors and windows, a price-match guarantee, and good regular pricing. However, it is important that you know what you need so you can get a good deal on your installation. If you’re ready to install double glazing, use our free quote comparison service to find the top quotes in your area and save up to 37%. There’s no obligation, and it’s completely free. For Your Home in 2019? Double Glazing Grants – What Help Is There? Should You Replace or Repair Your Double Glazed Windows? Best Double Glazing Companies & Window Styles in 2018 How Much Should You Pay for Casement Windows in 2018?